The Supreme Court heard arguments last week in the Whole Woman's Health v. Hellerstedt case, where the constitutionality of HB 2, the Texas omnibus abortion law that Gov. Rick Perry signed in 2013, is being challenged. At issue are the new regulations that the law placed on abortion providers in Texas. One: Facilities performing abortions must meet all standards of an "ambulatory surgical center." Two: Any physician performing an abortion must have "admitting privileges" at a hospital within 30 miles of the clinic. The motivation of the Texas legislature in passing this law, and Gov. Perry in signing it, was to improve the conditions in which abortions are performed and to better ensure the safety of women undergoing this procedure. The renewed concern and focus on prevailing conditions under which abortions are performed followed the horrors discovered in the 2010 case of Kermit Gosnell. For years, virtually unsupervised, Gosnell operated a facility in Philadelphia that was more infanticide factory than abortion clinic. Although Gosnell was formally convicted for the murder of three infants and for manslaughter associated with the death of one woman who was a client, testimonies from employees indicate the number of live infants murdered was in the hundreds. Formal charges could not be made for most, because of the destruction and loss of records. One of the recommendations in the grand jury report issued on Gosnell is exactly what the Texas law enacted: "The Pennsylvania Department of Health should license abortion clinics as ambulatory surgical facilities." Of course, sadly, it is not the Gosnell nightmare alone that has driven this latest wave of concern regarding the regulation of abortion facilities. There is the case, for example, of Tonya Reaves, who died in 2012 as result of a botched abortion at a Planned Parenthood facility in Chicago. According to the autopsy, Reaves bled to death. Her surviving son was awarded a $2 million settlement from Planned Parenthood, Northwestern Memorial Hospital and Northwestern Medical Faculty Foundation. Those challenging the Texas law claim the new regulations pose an "undue burden" in providing abortions. This criterion stems from the 1992 Planned Parenthood v. Casey case in which more latitude was given to states in regulating abortions, with proviso that an "undue burden" not be established, creating unreasonable difficulties in delivering abortions. And indeed the questioning from the liberals on the court — Ruth Bader Ginsburg, Elena Kagan, Sonia Sotomayor and Stephen Breyer — was aggressive in this direction. Doesn't closure of half the abortion clinics in the state following enactment of the law show that they cannot operate in the environment prescribed by the new regulations? Aren't there medical procedures, such as colonoscopies, that are more risky that are done in less regulated, and apparently less safe, circumstances? 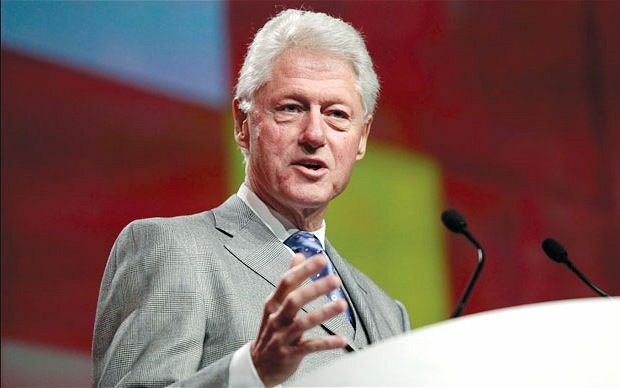 We might recall here President Bill Clinton's stated view on abortion — that it should be "safe, legal and rare." This well describes the abortion regime now in Texas under HB 2. To repeat, the ambulatory surgical facility standard the law established is exactly what the Gosnell grand jury prescribed. We should also keep in mind, when some start comparing colonoscopies and liposuction to abortion, that in all circumstances with abortion, we are dealing with certain death. In the best of circumstances, the mother comes out healthy, but the child winds up dead. Certainly, while abortion is legal, it should also be safe and rare. We mislead ourselves that there is objectivity to legal language such as "undue burden." This will be understood and interpreted differently by a judge who views abortion like liposuction and a judge who views abortion as a matter of life and death. All the more reason to support Senate Republicans' efforts to block President Obama, the most pro-abortion president in our nation's history, from appointing a court replacement for Justice Antonin Scalia and to wait until the next president takes office.